16 12x12 inch double-sided sheets with a different design on each. 3 Designs/4 Each, 12 total. 18 x Double-Sided 12″x12″ designer papers (2 each of 9 designs) – Printed on 210g paper, plus 1- 6x12 accessory sheet. 18 x Double-Sided 12¡åx12¡å designer papers (2 each of 9 designs) ¨C Printed on 210g paper, plus 1- 6x12 accessory sheet. 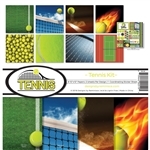 Contains 30 double-sided 12x12 papers, 20 designs. Don't be fooled by the price, this is a 48 sheet pad! 16 single sided designs, 3 of each. 11 PP and 1 12x12 sticker sheet. 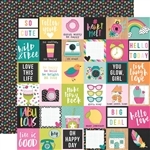 Includes 12 double-sided patterned papers and one sheet of Element stickers. Includes (8) 12x12 papers and 1 coordinating sticker sheet..
Pre order pricing ends August 5th. Twelve 12x12 inch double-sided sheets with a different design on each and 1 12x12 inch sticker sheet. Includes 8 double sided papers; 2 each of 4 designs and 1 coordinating sticker sheet. Includes 8 double sided papers ( 2 each of 4 designs) and 1 coordinating 12x12 sticker sheet. Includes (12) 12"X12" double-sided sheets of patterned paper, (1) 12"X12" sheet of Combo Stickers, a few elements have gold foiling. Simple Stories - Oh, Happy Day Chipboard Stickers 6"x12"
Simple Stories - Oh, Happy Day Stickers 4"x6"
3 designs, 2 of each. Simple Stories - Say Cheese 4 Chipboard Stickers 6"x12"